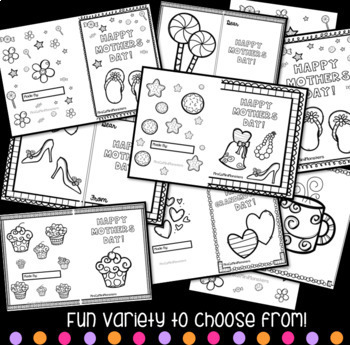 6 different sets of adorable Mothers Day card templates with pictures to color in and templates to write, super cute and ready to print and decorate! There is a bonus card included that says 'Happy Grandmothers Day' for those students who may need a different option. These cards are not limited to who they could be for -step-parents, sisters, aunts, grandparents. 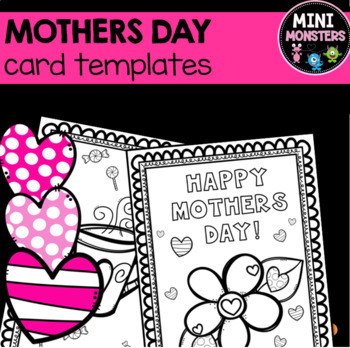 The first six all say 'Happy Mothers Day' on the front, but on the inside have 'Dear ……..' with a blank space for the student to write any special persons name. Mom/Mum is not mentioned for your convenience.